Currently this powder coating offers a high position in the metalworking sector, because it reduces costs, is applied fast and produces few residues, minimizing the environmental impact. There are many advantages of powder coatings compared to most industrial paints and that is why today it has become a product of high competitiveness and acceptance in the market. High gloss, semi-gloss, matte, metallic effects, pearlescent and even colorless products can be achieved. It can be formulated for application in different thicknesses, according to the use of the piece. It is friendly with the environment. 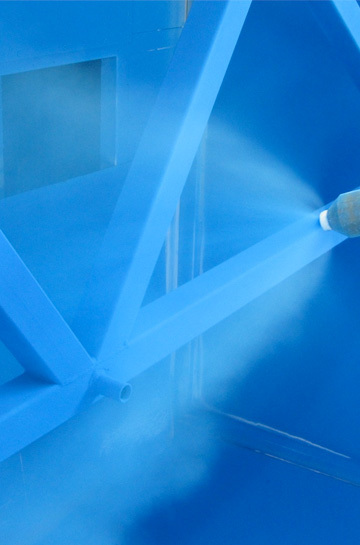 Powder coatings do not require solvents, so they have virtually no volatile emissions. This reduces the problems of environmental contamination, collapse costs and fire risk. · New powder coating machine for large parts. PINTER is already at 100% performance in the new paint plant. For large and heavy pieces of baked metal structure. · Our work team, highly qualified, works with the best machinery and the best paint manufacturers. 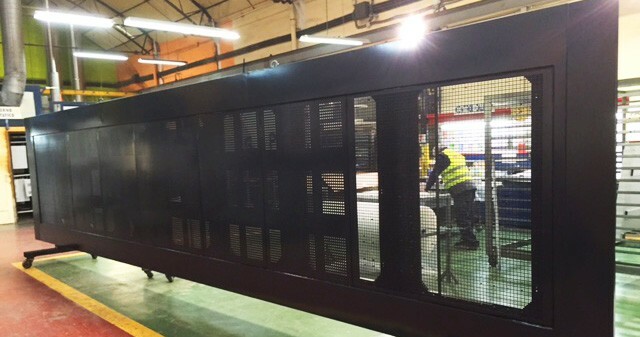 · Our production line allows painting large objects and industrial materials and at the same time, is ready to give a quick exit to pieces in series. · Always with excellent finishes, a hard finish more resistant than the conventional painting.